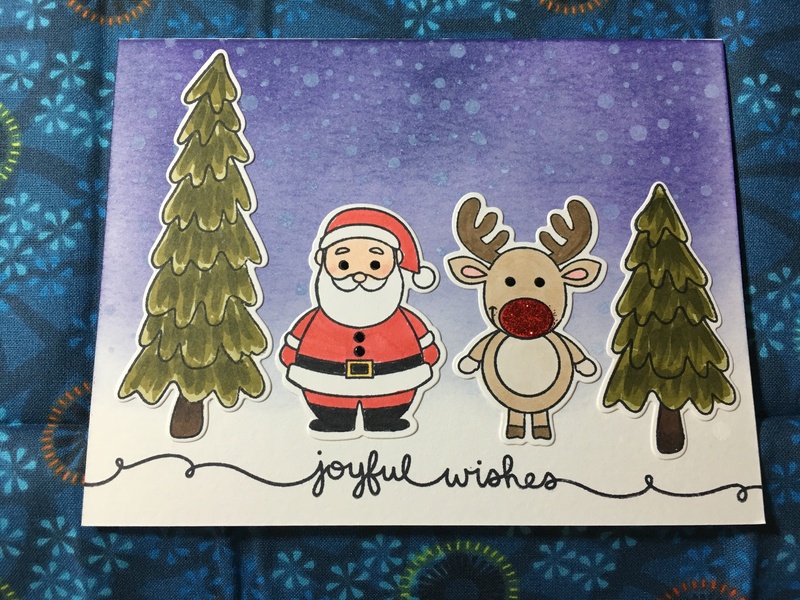 It’s been awhile since my last blog post and I still wanted to post the Christmas card I made to send to family and friends. We had a death in the family in early December then headed to North Carolina on December 27th to spend a few days with our kids. Shortly after returning from the trip, I injured my back again. Yes, it’s mid January, but sometimes life gets in the way and you have to deal the hand life gives you. My wonderful husband helped out this year and cut out all of the images while watching football, and that helped me a lot. I had the coordinating dies for both sets and he just cranked away on my Sizzix machine while watching some football!! After the images were cut out, I used X-Mas Red Stickles on Rudolph’s nose and let that dry. Then it was time to start on the backgrounds and again, I did this assembly style. I used Distress Watercolor paper and stamped on my sentiment at the bottom of the paper. I used Archival ink and used the Lawn Fawn Scripty Saying Stamp Set then I inked up the background with Distress inks. 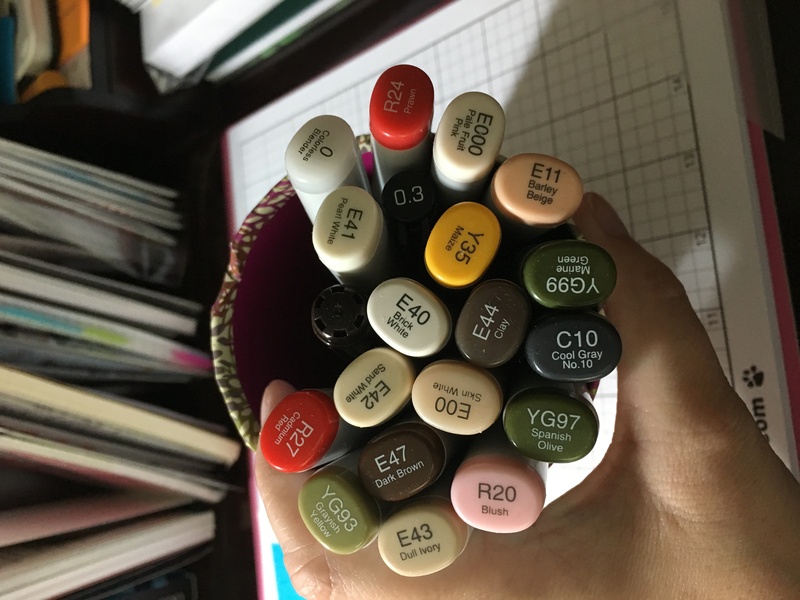 I first used Wilted Violet Distress Ink as the bottom layer and I applied this with the Mini Round Ink Blending Tool. I added Chipped Sapphire Distress Ink over the Wilted Violet and blended the two together to give me a beautiful night sky. 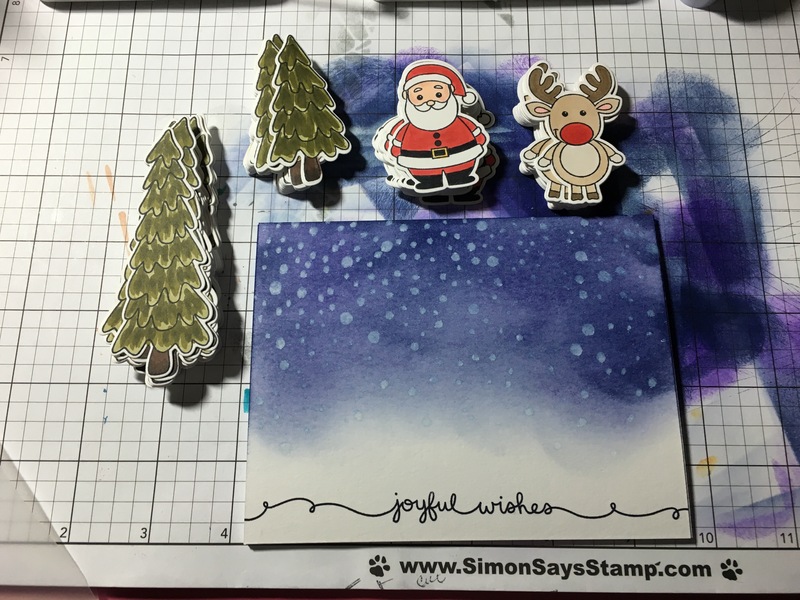 After that step of the background was completed, I took the Simon Says Stamp Falling Snow Stencil and placed it over the background piece and pounced on Simon Says Stamp White Pigment Ink and created snow! After all the backgrounds were completed, it was time to start assembling everything. I used my favorite wet glue which is Art Glitter Designer because it dries clear and you can buy the precision tip applicator. I waned to use something that I knew would hold the images onto the watercolor paper and wouldn't come off in the mail. Once the top was done, I adhered it to a top folding card and then stamped my sentiment on the inside from the Simon Says Stamp Be Joyful Stamp Set. After that was complete, all that was left was to type up the Pezza 2015 letter and to put the picture together and order that. Since the kids were little, I always sent picture cards out and I felt like I still wanted to do that this year even with the handmade card. Pictures are so important. Also, 2015 had some milestones for our family and I really wanted to include those pictures for family and friends. I believe that this is a new tradition for me and look forward to seeing what 2016’s card holds! Thanks for stopping by and stay tuned for some exciting new blog posts coming very soon! !